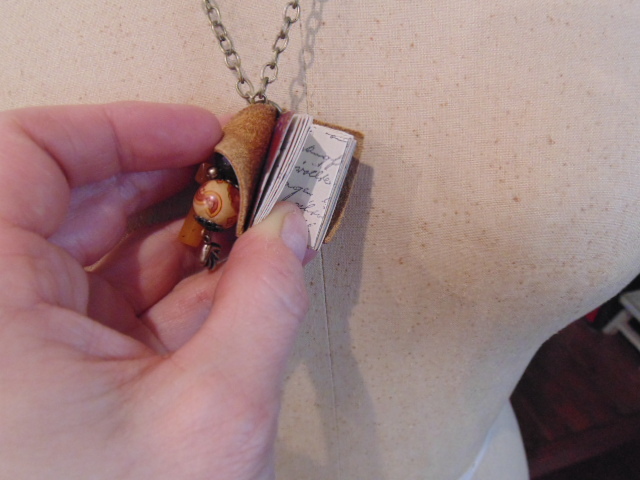 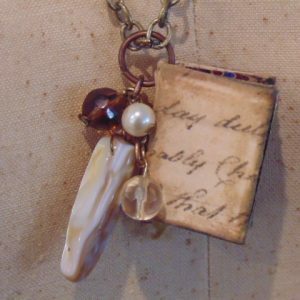 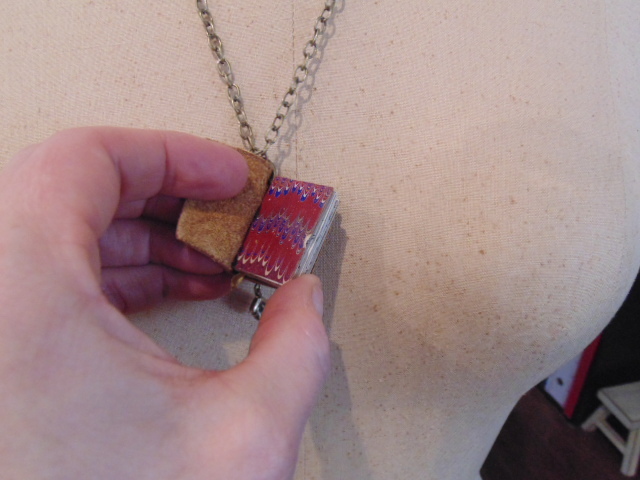 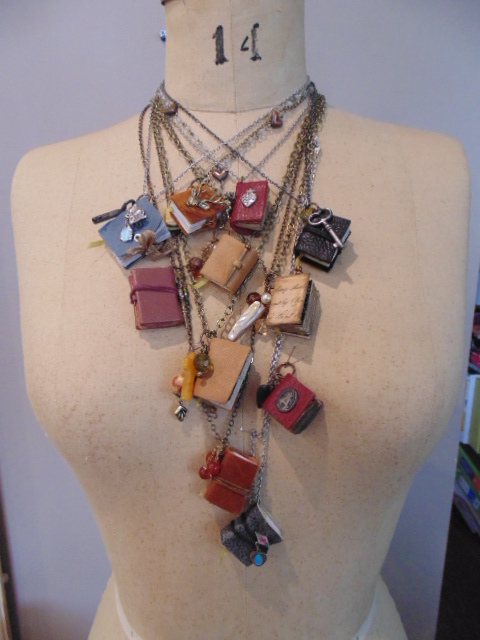 Light butterscotch leather mini book pendant with 100 year of marbled papers on inside covers. 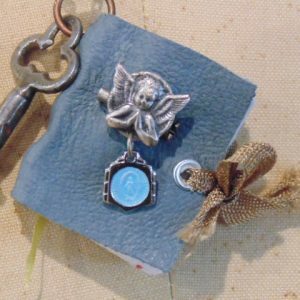 Printed and stamped pages. 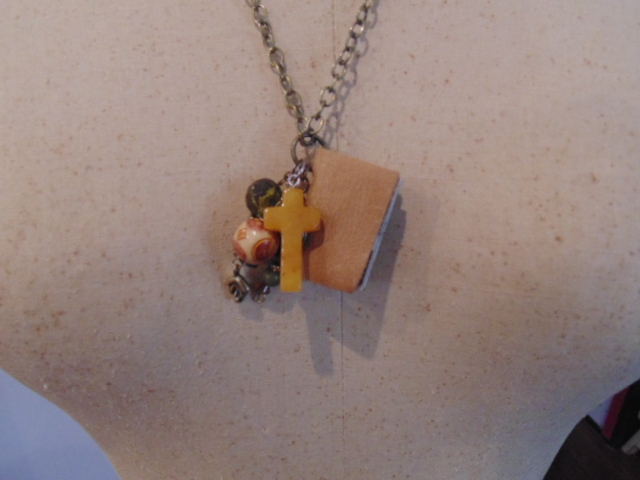 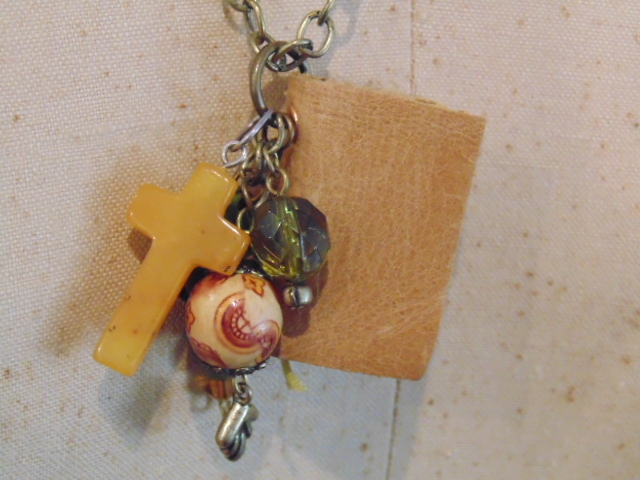 60 year old Bakelite cross with vintage metal and bead findings. 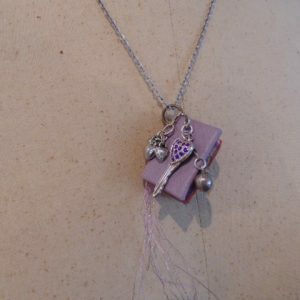 Green silk bookmark. 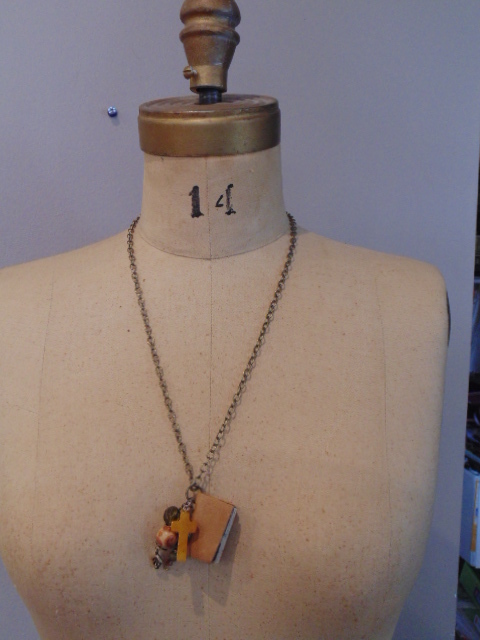 Antique bronze coloured 20″ chain included.